Uglyworld #1164 - Icy Creamers (Project BIG - Image 177 - 365), a photo by www.bazpics.com on Flickr. 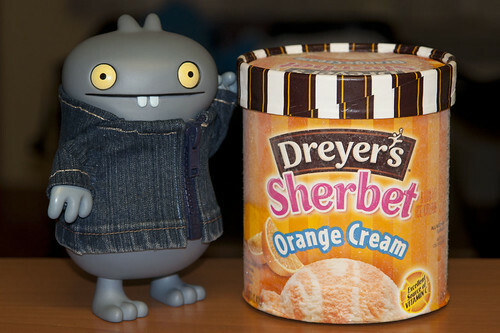 Earliers today I mades Baz promisers me that if I eatered alls of my dindins tonights that I could has some icy creamers. Baz said yes but that I could only haves one icy creamer, but I usered my sneakies side and choosered the biggerest tub I could finds! I loves it when I outsmarters Baz, it makers me gigglers (when he can't hears me of courses).